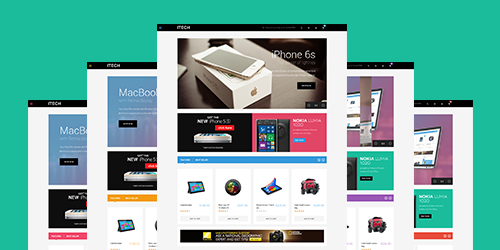 This responsive Magento theme is especially designed for Hi-Tech eCommerce sites. 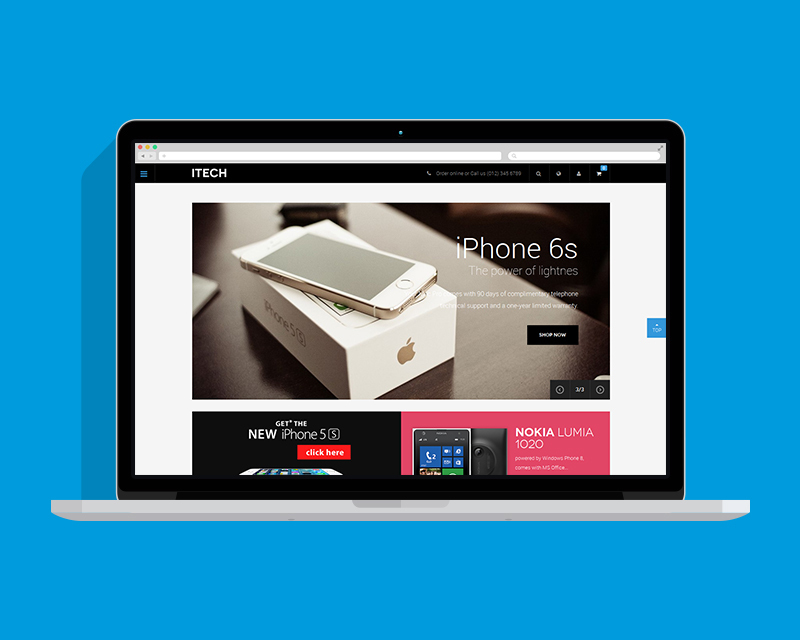 iTech charms with its flat look, sleek design, clean block layout and powerful features. 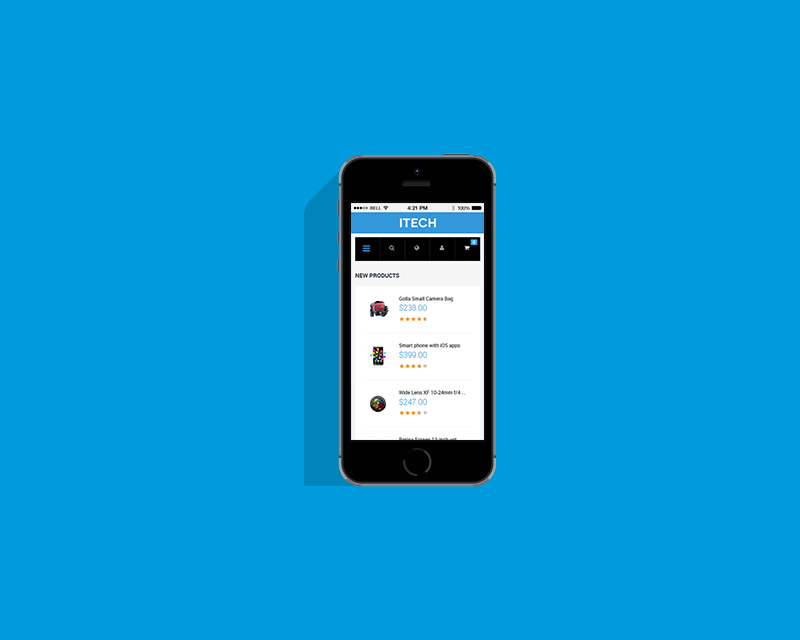 iTech is mobilized perfectly to captivate your shoppers when they are on the go. 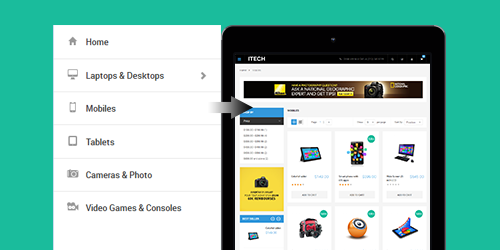 A must-have feature for any responsive Magento theme, in which shoppers can easily navigate your store without any difficult. 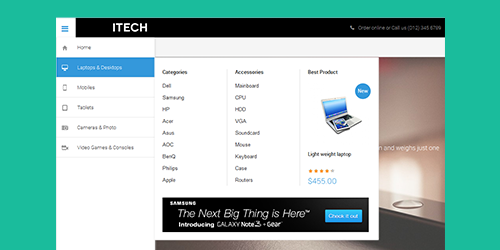 A drop-down megamenu where you can show off all your product categories in a neat way and also have space for promoting featured products as well as laying promotion banners. 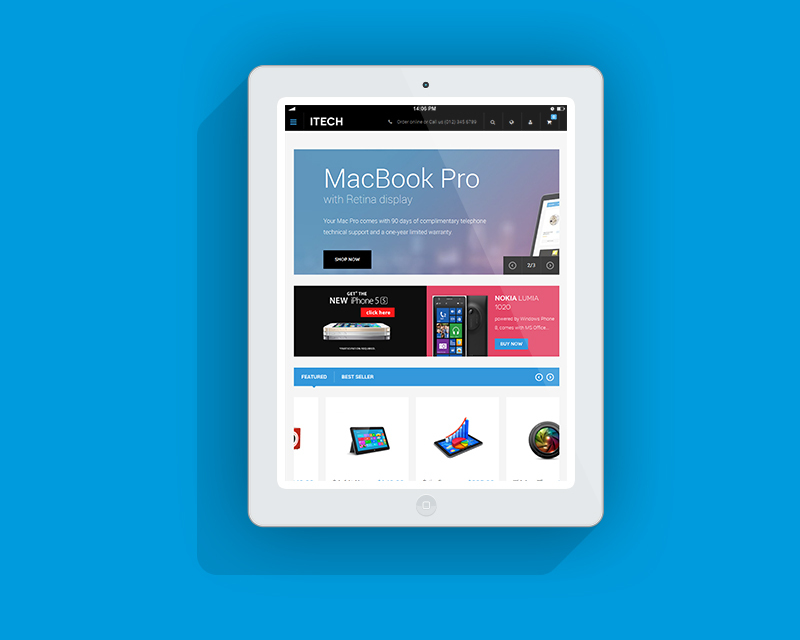 There are no limits how you can customize the theme in term of colors and content. 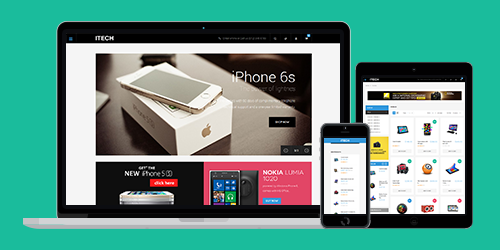 Magento Basetheme supports you completely in theme customization. 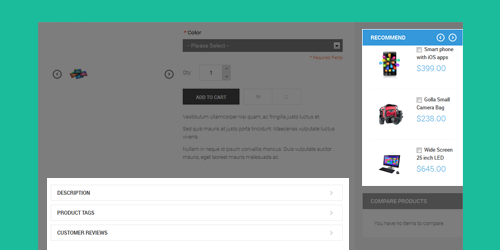 With accordion effect in product info page, product info is displayed into different sections and save space. 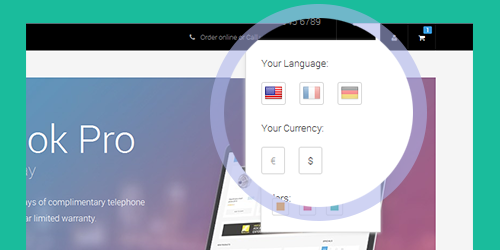 Make sure that your site is ready for foreign customers in their languages and currencies.